Health member Swamy Palaraj said that initially, the speed of mobile data in the country can be increased by up to 50 percent from current level through the 5G service. 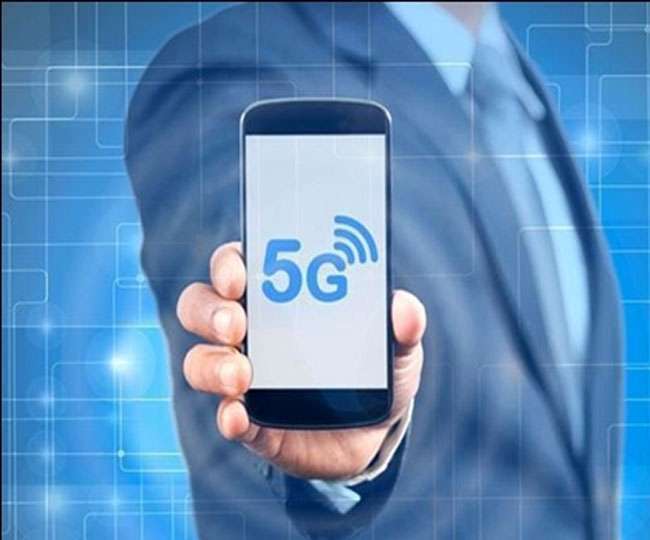 [New Delhi]: The 5-G committee formed by the Ministry of Telecommunications has said that about 6,000 MHz (MHz) spectrum is available immediately for the next generation mobile telephony and other commercial services. The committee has submitted its recommendation to the government. If recommendations and suggestions are considered, then there may be a 5G service launch in the country very soon. Not only this, this spectrum will also prove to be the biggest auction for telecom sector according to the available volume of spectrum. Health member Swamy Palaraj said that initially, the speed of mobile data in the country can be increased by up to 50 percent from current level through the 5G service. The pioneer of multiple input and multiple output (MIMO / MIMO) wireless technology and former professor of Stanford University, Palaraj said that the Department of Telecommunications (DOT) is taking strong steps in the field of spectrum availability for new service. However, he also said that the government has to keep the rates of 5G spectrum reasonable, so that it is viable for telecom service providers to procure them and start service at the earliest. It is worth noting that a great improvement in the ability of wireless service has been made possible through Mimo. At present, all new wireless systems are using memos. Two years ago, the government had bid for around 2,354.55 MHz frequency, under the biggest telecom spectrum auction till now. This gave the government the amount of more than Rs.5.50 crore. Currently, mobile phone signals are being sent from 800 to 2,600 MHz band. The committee has identified spectrum for 5-G service in 11 bands. Of these, premium 700 MHz band apart, 3.5, 24 and 28 GHz bands can be made available immediately for 5G service. "The availability of spectrum reduces the costs on infrastructure," said Palraj. People benefit from this. The amount of spectrum we have is more than the total amount of 5-G spectrum prepared for launch by some countries of the world. He also said that so far the utility of 5-G service is not limited to the launch of 3G and 4G services, not only for mobile services, but for power grid, smart city, agriculture, banking, railway, healthcare and other services. There will also be. Palaraj said that India is in a position to launch the 5G service in front of many other countries. He said, "No one has even launched a 5G service except for the countries of America and Europe. Telecom companies must launch this service. But for this, the government should also keep the price of spectrum so that the companies can bid and start the service soon. " Significantly, Telecom Minister Manoj Sinha has set a target of 2020 for the commercial operation of the 5G service, which is much earlier than most countries. Pakistani soldiers fired at Indian army posts in Kamalkot and adjoining areas in Uri sector last night. How to Access Mac Files from a Windows PC? The Pros and cons about iOS jail breaking?